The Right Voice For Your Project! Be it an Animated Series, Video Game, Commercial, or Business Presentation, you put a lot of work into your project. The visuals are perfect, the writing's on point. Hire a Voice Actor who will Bring your Work to Life! With four years of dramatic training, a dynamic voice capable of a wide range of characters, and a writer's mind capable of analyzing the emotion and purpose of his character, Malcolm provides flexible and unique takes to give your characters the personality they deserve! Having grown up watching copious amounts of cartoons, anime, and animated movies, Malcolm knows cartoons inside and out. Often referred to as a living cartoon character, he is able to fill a variety of roles for your animated project! Malcolm has experience in roles such as Teens, Geeks, Dark Lords, Evil Psychopaths, Mad Scientists, Gangsters, Lizardmen, Cowboys, Pompous Princes, Adorable Animals, Creepy Monsters, Eccentric Old Men, Maniacal Goblins, Brooding Heroes, Tv Show Announcers, Friendly Giants, Semi-Crazed Henchmen, and much much more! Don't see the voice you're looking for? Send a message to vo@malcolmtolman.com to hear a sample of what your project could sound like! An avid gamer in real life, Malcolm is able to provide you with quality voices for FPS, MMO's, RPG's, Visual Novels, MOBAs, Cell Phone Apps, Point and Click Adventures, Platformers, Puzzle Games, Racing Games, Simulators, RTS', and so much more! Didn't hear the voice you wanted in the demo? 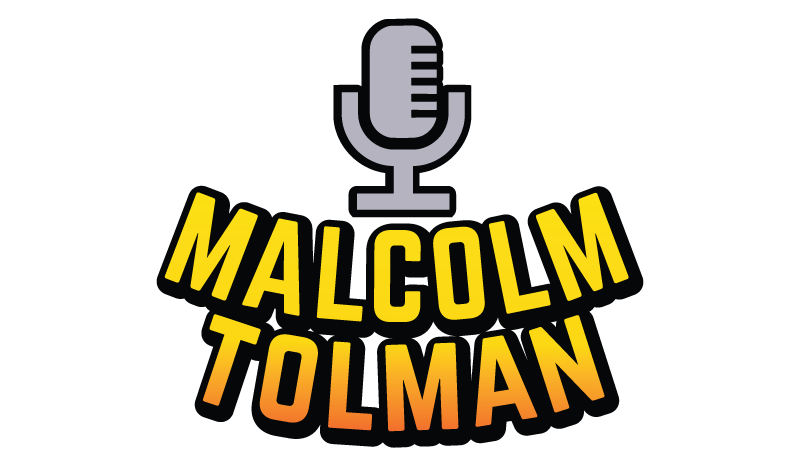 Send a message to vo@malcolmtolman.com to hear a sample of what your game could sound like! Need a Hard Sell? Soft Sell? Fast Sell? Slow Sell? Guy Next Door? Average Teen? Cool Older Brother? Fast Talking Announcer? Poetic Individual? Natural Read? Professional? Casual? Comical? Serious? We've got you covered! Don't hear the type of read you're looking for? Send a message to vo@malcolmtolman.com to hear what your project could sound like! Do you have an Internet Video? Documentary? Infomercial? Corporate Instructional? PSA? Introduction? Wedding Announcement? Business Presentation? Instructional Video? Scavenger Hunt? Orientation? Or anything else you need explained in a clear and exciting voice? We've got you covered! Send a message to vo@malcolmtolman.com to hear what your project could sound like!